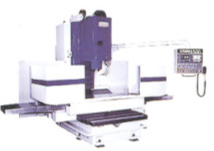 CNC Machining Center, CNC Turner, High-Precision Surface Grinder, High-Precision Internal Grinder, High- Precision Circular Grinder, etc. Carbon steel, Alloy steel, Stainless Steel, Cast Iron, ferrous and non-ferrous alloys, etc. CNC Stamper, CNC Bender, Laser Cutter, Plasma Cutter, Scratch-free Bending System, Automatic & Continuous Sheet Metal Production Line, and TOX Rivet Joint System. Carbon steel, Alloy steel, Stainless steel, Aluminum or Titanium in thickness from 22 gauge to 1"